As a provider of electrical, maintenance and technology solutions, we have built a reputation of being responsive, providing quality installations and getting the job done on time and on budget. Our goal is simply to be the best and to continually improve. We are client-driven. Committed to safety. And we are experts in our field. 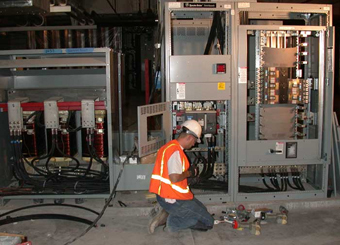 From design and installation to maintenance and protection of electrical systems, Advance Automated Controls offers proven experience in managing a diverse range of projects. Throughout the full project lifecycle, our administrative staff, project managers and field personnel work in concert to ensure that each phase of the project is executed to our client’s complete satisfaction. Keeping our employees and client projects safe always comes first as we strive for an accident-free workplace. Our trained and certified field staff and fleet of service vehicles are ready to respond to emergency situations 24/7. We serve Northeast Pennsylvania, upstate New York and northern and southern New Jersey. In addtion to general contruction service's we provide support and analysis with both ARC Flash and Thermal Imaging studies to help you maintain your facilities.